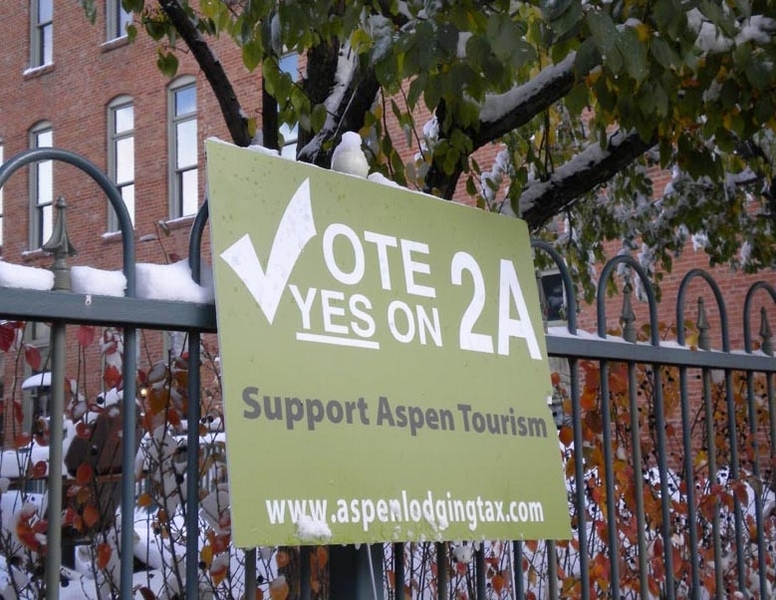 ASPEN – The Aspen Chamber Resort Association has done more than canvass the community to push support for Referendum 2A. It has built a 2011 marketing campaign on the assumption that it will pass. If Aspen voters approve 2A on Nov. 2, adding a 1 percent tax on lodging to the existing 0.5 percent lodging tax already devoted to marketing, the ACRA will have $1.4 million with which to market the resort next year, primarily in the spring, summer and fall. The Aspen Skiing Co. takes the lead on winter marketing. If 2A doesn’t pass, the chamber will have about $350,000 with which to work, said ACRA President Debbie Braun. If the referendum fails at the polls, the ACRA anticipates the existing 0.5 percent tax devoted to lodging will generate about $450,000 next year. However, the city bolstered the chamber’s marketing budget this year to the tune of $500,000 – a $100,000 grant plus $400,000 that must be paid back over four years. The first $100,000 is due in 2011. “Obviously, if this thing doesn’t pass, the conversations will ensue,” said hotelier Warren Klug, chairman of the board, suggesting the ACRA would look to the city for a reprieve on the repayment. The City Council has not discussed letting the ACRA off the hook, even temporarily, if 2A fails, Mayor Mick Ireland told the board. “We’ve had to make a lot of cuts at the city to make this marketing thing work,” he said. Ireland has been campaigning for passage of 2A and predicted Tuesday that it will. “I think this thing is going to pass easily. I’d bet money on it,” he said. Other chamber representatives weren’t as certain. “There are still people out there who do not have all the facts, and do not understand,” Klug said. Some voters are still unclear and undecided about 2A, agreed Braun, who has been on the door-to-door campaign trail, as have her chamber colleagues. “I think we have been shocked because we live and breathe it every day,” she said. “There are some people who don’t know there’s an election,” added board member Helen Klanderud, Aspen’s former mayor. The $1.4 million marketing plan that 2A would help fund quadruples spending on special events next year, according to Julia Theisen, vice president of sales and marketing for the ACRA. Special events funding would jump from $35,000 this year to $125,000 in 2011, including money to expand the Outside in Aspen event that debuted last June and earmarking $50,000 for the Quiznos Pro Challenge bicycling event that the resort hopes to attract next August. Spending for advertising, including print ads, online ads and direct mail in key markets, would increase from $270,000 this year to $350,000 next year. Theisen said. The budget also boosts marketing funds to bring group business to Aspen from $80,000 to $120,000 and reduces the amount local lodges have been paying toward that endeavor. Lodges have been contributing to group sales for five years, paying based on their pillow count. The goal is to phase out funding from the lodges by 2012. Next year, their contribution will drop from $40,000 to $20,000 under the proposed marketing budget. Group sales benefit some lodging properties directly, but they benefit the entire community, Klug said. “Everybody in town needs people walking down the streets and this makes that happen,” he said. The chamber is scheduled to present its marketing plan to the City Council on Nov. 15.